Paul Lyons is a lecturer in Trinity Business School, University of Dublin, Trinity College. He currently lectures in the areas of international business, supply chain management, and global business services. 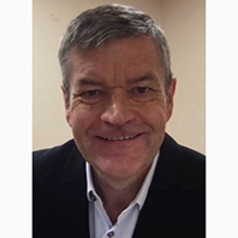 Prior to commencing his academic career he worked for 30 years with IBM, during which he held executive responsibilities for international shared services functions, and was Account Director for a number of IBM’s largest services outsourcing customers in the UK and Ireland. He holds a BSc in Computer Science, an MSc in Management both awarded by Trinity College, Dublin and a PhD from the Trinity Business School.